How do Judges Set Bail in Illinois? The Chicago Tribune reports that a Chicago man is currently being held at the Skokie courthouse jail with bail set at $250,000 for allegedly Tasering a 79-year old woman during an attempted robbery. The man is charged with aggravated battery and attempted robbery after supposedly attacking the elderly woman while she was sitting in her car. The man’s public defender has released a statement indicating that the defendant does not have enough money to post bail. Therefore, he will remain in jail at least until his preliminary hearing which is currently scheduled for September 8th. But why did the court decide to set this man’s bail at $250,000? What factors does a court take into consideration when setting bail? This article provides a brief overview of what bail is and how it is set in Illinois. Simply put, bail is the amount of money that a court requires in exchange for releasing an accused criminal defendant from custody while he or she awaits a day in court. Money paid as bail is refundable and is returned to the defendant after he or she appears for the court date and satisfies any other conditions of bail. However, if the defendant skips town or does not appear in court for some reason then that bail is forfeited. 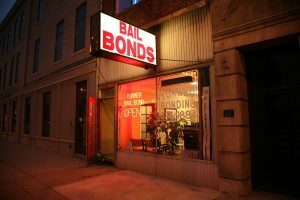 The idea is that defendants who have posted a seizable bail will be strongly incentivized to show up at court for their trials. How is Bail Set in Illinois? Additionally, courts in Illinois will not set bail if the judge determines that releasing the defendant would pose a real and present threat to the alleged victim or to society. Judges also take other factors into consideration such as whether or not the defendant is accused of a violent crime, the nature of the alleged crime, and whether the defendant has the means to easily flee the country. How much bail would be too much and considered oppressive. If you have been accused of a crime in the Chicago Metropolitan Area you do not want to sit in jail while waiting for your trial. It is important to have a competent criminal defense lawyer at your side who will present the court with evidence indicating that you should be entitled to post reasonable bail. If you are looking for a talented and experienced criminal defense lawyer to represent you contact attorney David Freidberg today at (312) 560-7100.